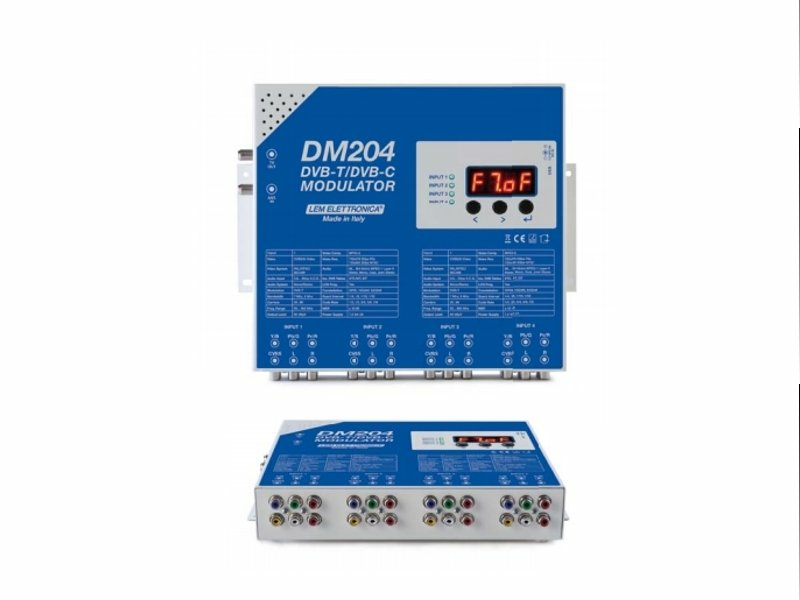 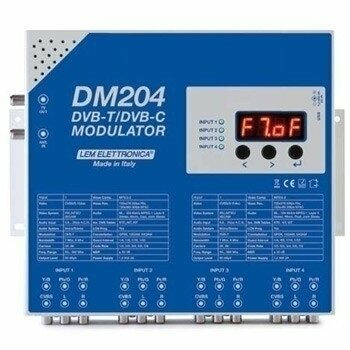 The DM204 modulator multi-input is characterized by the presence of a multi-standard multiplex that allows the free choice of the modulation format DVB-T or DVB-C. 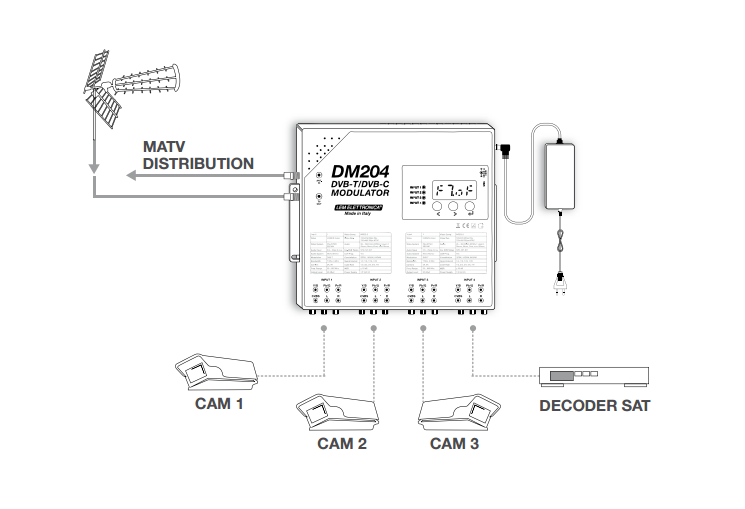 The DM204 modulator is equipped with four lowlatency MPEG-2 encoder. It can be connected to a different analog video source.